I've got another sweet card to share with you today. 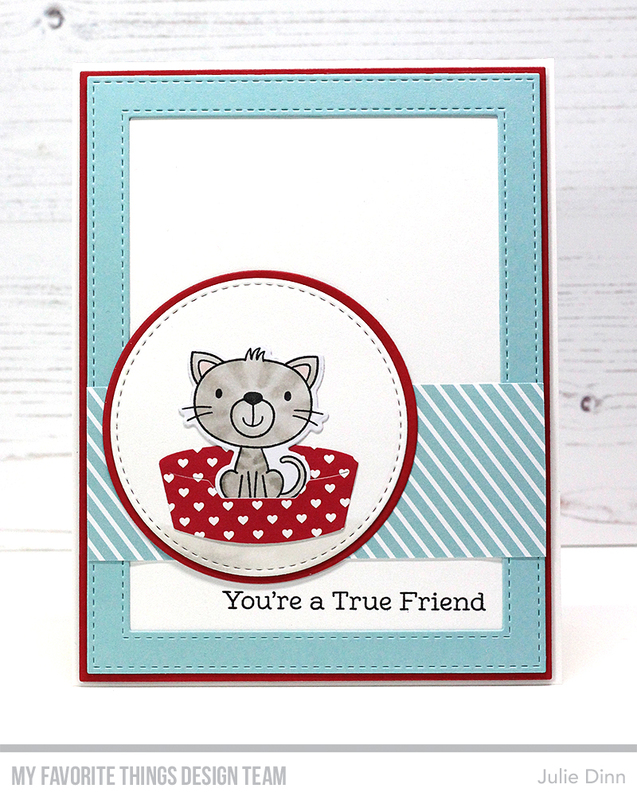 It features the new Furever Friends card kit that will be available Tuesday, December 19 at 9pm EST. I stamped the cat on a piece of X-Press It card stock, and I coloured it with Copics. I placed the cat in the bed that was die-cut with the Pet Perch Die-namics. The sentiment is from the Furever Friends stamp set. OMG, Your card is so adorable, love the basket. Awesome card, love the bold frame and cute critter! Great colour combo with the cute cat. Thanks for the inspiration.